If you know Lang Exterior, you know we love giving you lots of color options, so we are proud to offer a new color darker than any we've ever had - black! Many competitors of Lang Exterior claim to offer black vinyl windows but really only offer painted vinyl. Don't be fooled! Check out the picture on the left to see how painted vinyl is easily scratched and marred. Black windows can add dramatic contrast to the interior of a house and can match well with many exteriors. 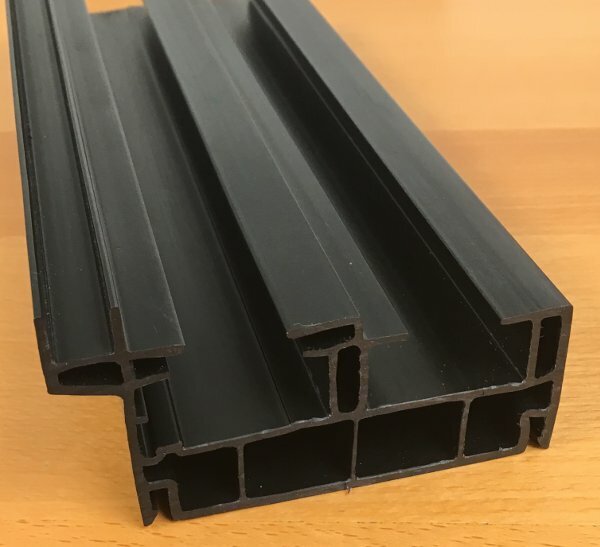 You can now order black in Lang patio doors as well as windows, and in window types from double-hung to casement windows and more. Of course you can also order your black windows with our popular woodgrain interior finishes as well. 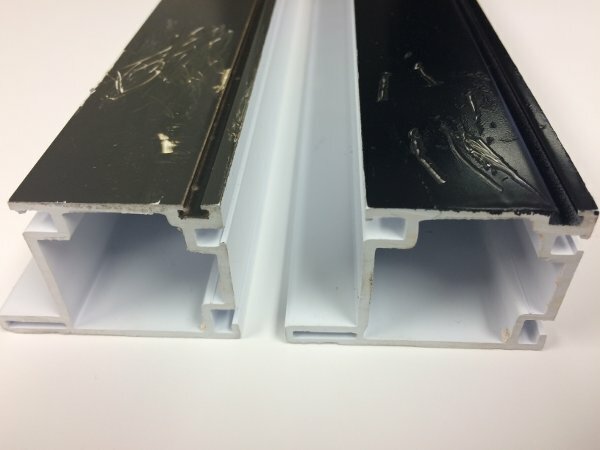 Solid extruded black vinyl profile, never painted like many other vinyl window makers. Two-Tone White Interior/Black Exterior also available. Full selection of Lang interior woodgrain finishes available. 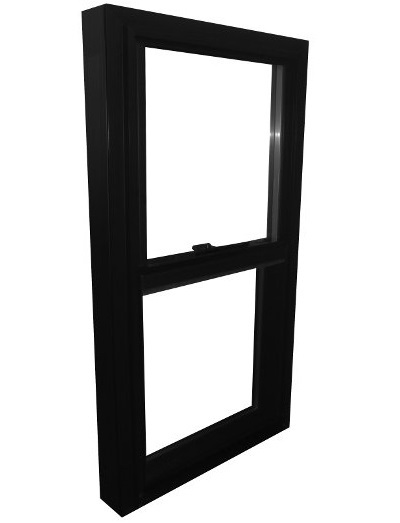 Available on casement windows and casement picture windows. Available on bay, bow, and multi-lite combination windows. Click below to check out Lang product lines with the black option, including Powerweld double-hung windows and sliders, Renaissance casement windows, Glide patio doors, picture windows of course, and other window types as well! Add black vinyl windows to your order today!